April is Autism Awareness Month and autism-focused events, fundraisers, walks, and lectures abound all over the country. While most people have likely heard of autism, Autism Awareness Month highlights the growing need for awareness and promotes ways to support and accept people on the autism spectrum. Chances are that you know of someone with autism, since an autism spectrum disorder occurs in about 1 in 88 individuals. Autism is different for everyone. Symptoms may include mild challenges for those who are high functioning, while others may have more severe symptoms affecting their daily life. 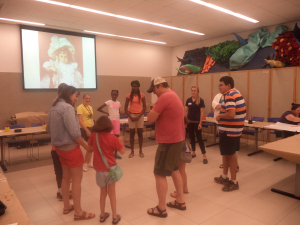 Because it’s difficult to predict the behavior of children with autism, parents can feel intimidated bringing their child to an art museum and tend to be more comfortable participating in specifically designed activities alongside other similar families. 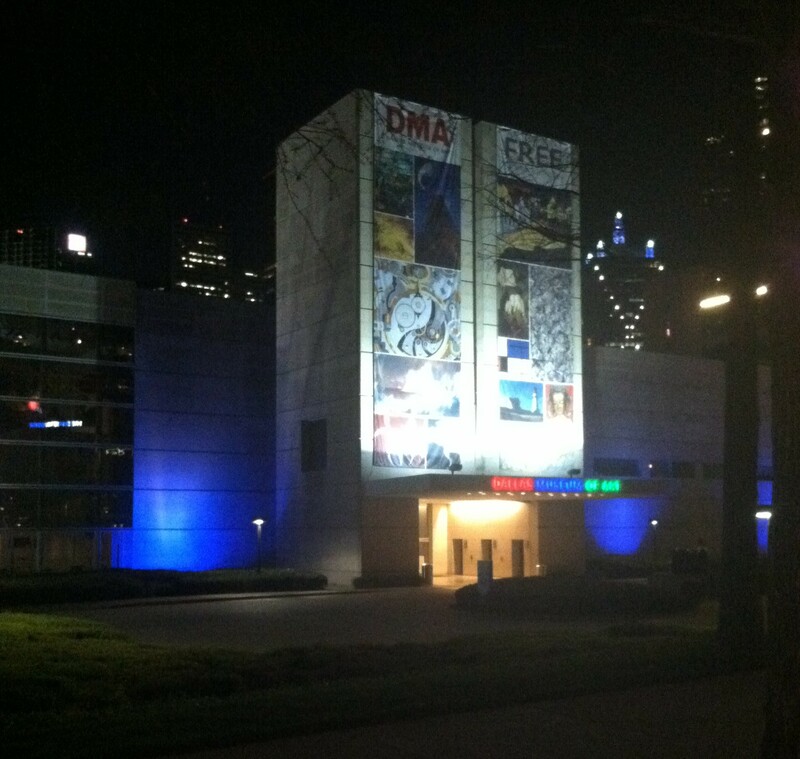 The DMA’s Autism Awareness Family Celebrations, which take place throughout the year, provide a safe, comfortable way for children with autism and their families to experience the Museum together. In the Center for Creative Connections, families can participate in gallery experiences, enjoy an interactive musical performance, explore hands-on activities in the courtyard, relax in a quiet sensory room run by occupational therapy students from Texas Women’s University, and create works of art in the C3 Studio – all before the Museum opens to the public. We work closely with an autism specialist and Autism Speaks to plan programming for Autism Awareness Family Celebrations, taking into account the specific needs of the audience and the innovative tools available in C3. This invaluable partnership results in the creation of customized social stories about visiting the DMA, which are sent to parents in advance of each event so they can talk through the visit with their child at home. Many parents note that after attending an Autism Awareness Family Celebration, they feel more comfortable with their child in a museum setting. One such mother, Jennifer Linde, had trouble finding opportunities for her family to be creative together and interact alongside other families. Her goal as a mom is to teach her son with autism, Alex, how to be as independent as possible. Jennifer never considered taking her two children to a museum because of Alex’s behavioral issues. 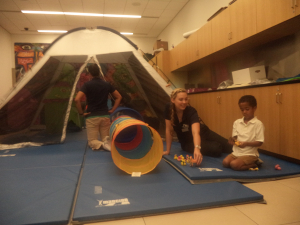 After discovering the Autism Awareness Family Celebrations at the Dallas Museum of Art, Jennifer now feels differently. 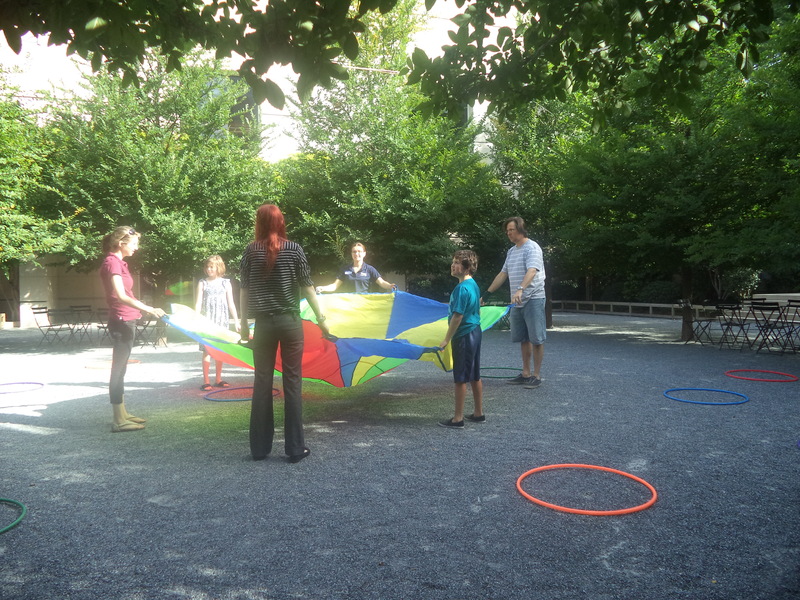 The events give her family a wonderful opportunity to allow her son to develop his social skills and explore new interests while not worrying about the reactions of other people, something she says is often an issue for their family. The Linde family attends most Autism Awareness Family Celebrations and Alex has participated in our summer art camp for kids with autism for the past two years. Alex loves to draw and usually draws machines and robots–never figures–in black and white. At the Autism Awareness Family Celebration in April 2011, Alex participated in sketching in the galleries and then went to our courtyard to experience music by the Dallas Symphony Orchestra, where he saw kids using streamers to move to the music. After the performance, Alex returned to sketching and created another drawing. His mother was overjoyed when she saw what he had drawn: figures all over the paper with streamers–in color! It was a magical morning for the Linde family. Check out photos of Alex below – including his colorful streamer drawing! We are excited be in our fourth year of offering Autism Awareness Family Celebrations and our third year of offering a summer art camp for kids on the spectrum. Our next event happens this Saturday, April 6, and is themed around music and nature with a special performance by a violin duo from the Dallas Symphony Orchestra. 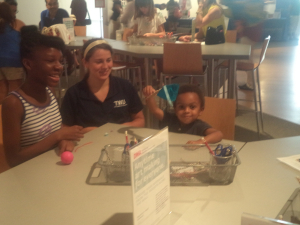 We look forward to seeing families connecting with one another and with works of art while having fun together at the DMA!